So how much does it cost in addition to the normal operating expenses associated with running a team and fielding equipment to win an IZOD IndyCar Series race? Apparently, only a mere $7500 and five entrants points. 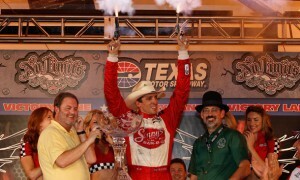 There should be a giant bonanza of feel-good stories after the great racing at the Texas Motor Speedway, first 1.5-mile high-banked oval the series has run since last year’s race in Las Vegas, and race which culminated in victory for the small operation of Dale Coyne Racing and fan-favorite driver Justin Wilson. 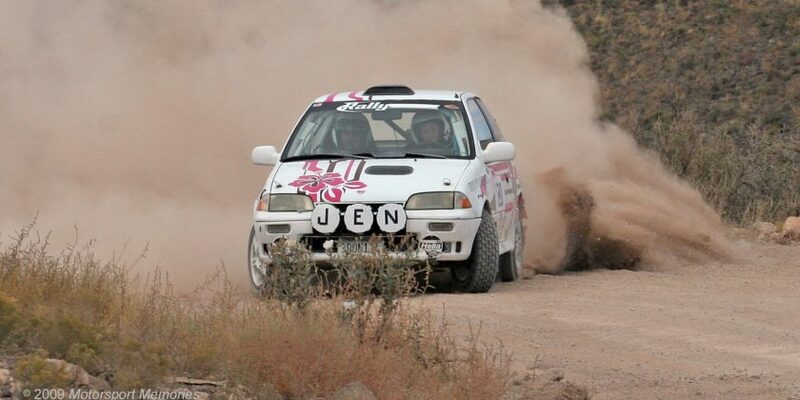 Wilson has always been thought of as a road-course specialist, and had struggled on the ovals. 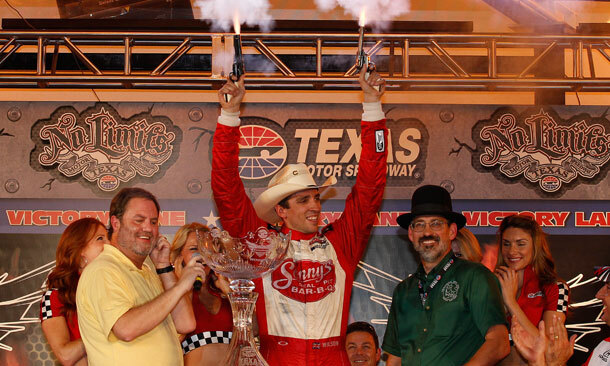 Last Saturday under the lights on a hot, humid Texas evening, Justin Wilson executed a pass for the lead, leaving Target Chip Ganassi Racing’s Graham Rahal chasing in an injured car, and sailed on to take his first oval victory. Everyone was happy! Everyone was thrilled for Dale Coyne and for Justin Wilson. Everyone that is except for Will Phillips, Vice President of Technology, and Beaux Barfield, Race Director and President of Competition. Following post-race technical inspection, the #18 car of Dale Coyne Racing was found to have a part, a rear sidepod extension, that was explicitly prohibited from use during the race last weekend. The part in question is designed to develop additional downforce on the rear of the car. During various meetings with IndyCar officials concerning the safety of the 1.5-mile high-banked ovals, the dominant request by the drivers was to remove downforce from the cars forcing drivers to have to work the throttle entering and exiting the turns. IndyCar listened and issued a bulletin prior to the Texas race listing the various downforce-creating components that were prohibited from use that weekend. The result was a race filled with outstanding action without the high-risk, low-reward pack racing which had been the status-quo for more than a decade. When the offending part was discovered post-race, IndyCar penalized the team both with a fine and a docking of points. INDIANAPOLIS (Monday, June 11, 2012) – INDYCAR, the sanctioning body of the IZOD IndyCar Series, announced today penalties stemming from post-race technical inspection of the June 9 Firestone 550 at Texas Motor Speedway. The No. 18 car Dale Coyne Racing car driven by Justin Wilson was fined $7,500 and docked five entrant points for not complying with the sidepod top deck aerodynamic element of Rule 14.6.4.13. Looking at what Dale Coyne is having to pay out, $7500 and 5 points, versus what he gains as a bonus for winning $50,000 and 50 points, I’d say he’s still coming out ahead on the deal. Which, of course, brings up a question. If you were put in Dale’s position, wouldn’t you have made the same decision to keep the illegal part on the car? How could you not? Even if you don’t win, but merely finish in the top-5, when ordinarily you would not have done, you’re still coming out money and points ahead. In other words, it’s profitable to cheat. Now I don’t think that Justin or Dale went out with an illegal car with malicious intent. It’s a part that gets bolted on as a matter of course at every other race track. More than likely, it was bolted on prior to the race out of habit and wasn’t noticed until after the race. However, that additional part gave Justin additional downforce and rear stability, something that other drivers were struggling with all race long. Proven 1.5-mile oval expert, Scott Dixon, even was caught by a unstable rear as his car spun and struck the wall. Sadly, I do believe that this discovery cheapens Wilson’s win, and takes away from what should be a fantastic feel-good story. It also points to an exploit that others can use to purposely circumvent the rules and realize a gain whether they are caught and punished or not. When it comes to punishment for a rules infraction, the penalty should be greater than the benefit realized for violating a rule. It stinks that it was Dale Coyne and Justin Wilson, but the car should have been disqualified and the win credited to Graham Rahal. Agree with me? Disagree? Leave me your comments below and share with us your point of view. Putting it mildly…INDYCAR should have caught it during pre-race tech. Not sure why it was on the car, but shame on the series for not finding it. Should they have the win taken away from them? Nope. They need to take this away as a screw up and fix it going forward. I would have issued a grid penalty myself to make it more difficult to repeat a good performance. I agree with Shaun that INDYCAR scrutineers should have seen the pieces (which Jon Beekhuis showed and explained to television viewers) in pre-race technical inspection. I’m not going to surmise that the parts were off for the inspection then surreptitiously replaced before the race began. I also agree that a next-race grid penalty could’ve been assessed – in addition to, or in lieu of, the five-points penalty. I would NOT tell the world that the Coyne team did not win the race and order the team to give its trophies and prize money to G2. You are assuming that IndyCar Tech Control missed the piece…I do not think that they are that incompetent. Other than Indy 500, I have not seen anything about pre-race inspection penalities. There is the possibility that they caught the piece and informed the team to remove it and the team either forgot or chose not to comply. This is not the first time that Dale Coyne Racing has failed a post-qualy/post-race tech inspection….remember the missing camera ballast. There excuse that time was that someone forgot to put the weight on. I was excited that Justin won the race and then pretty disappointed that they failed the inspection…especially since Justin is a member of the driver’s safety committee and pushed for reduce downforce. Must say this is a bad precedent, this will just open the door for others if this is the only fine and penalty given. I hope they before the next oval track race issue explicit warnings letting teams know you race with illegal components you WILL be disqualified or if this is all they will get hit with than there is no deterrent really to not bolt these parts on. You hit on my primary concern, Eje. It’s not just this specific incident, but the precedent it sets for the future. I’m a little bit torn on this one, but agree that rules are rules whether or not there was malicious intent. 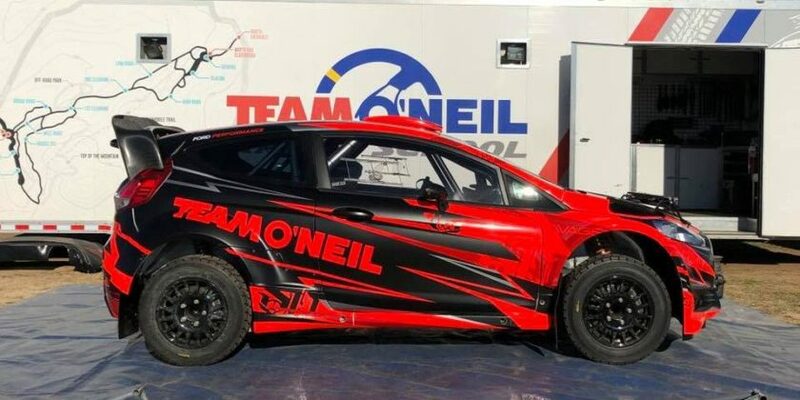 Just a few months ago at WRC Portugal Mikko Hirvonen was stripped of his win due to some slightly different parts on his car. Those parts didn’t really matter with the soggy muddy mess of this years event, but they could not let him have the win as rules are rules. Wilson himself was saying to the cameras that as the tires wore down he felt he was getting faster and the car felt comfortable to drive. Something was definitely amiss when someone not known for oval performance feels comfortable when everyone else barely has the car under control. That was obviously due to him having down force the others did not. So intent or not, he had an advantage the others did not. Rules are rules. Is this penalties dictated in the rules or is it a judgement call. If it was purely a judgement call perhaps they were excessively lenient with the penalty as they can be found partially at fault for not noticing this during pre race inspection, and offered such short notification of the rule changes to the team. Regardless I am of the opinion that if the rulebook allows it; the fine should be half of the total purse won, and all points awarded for the race the win should remain as you cannot undo the win that people saw this far after a race. This penalty is strict enough to send a message, that this will not be tolerated, but still addresses mistakes had been made by both parties. Strangely I am surprised that Beaux has allowed this slap on the wrist. In his time with ALMS I found his judgements especially during the race exceptionally harsh. At times teams that I passionately disliked had been penalized in ways that even I thought unfair. One bright spot to his judgement was that he was always consistently harsh, so this penalty after the race being so light seems unlike a call he would make.